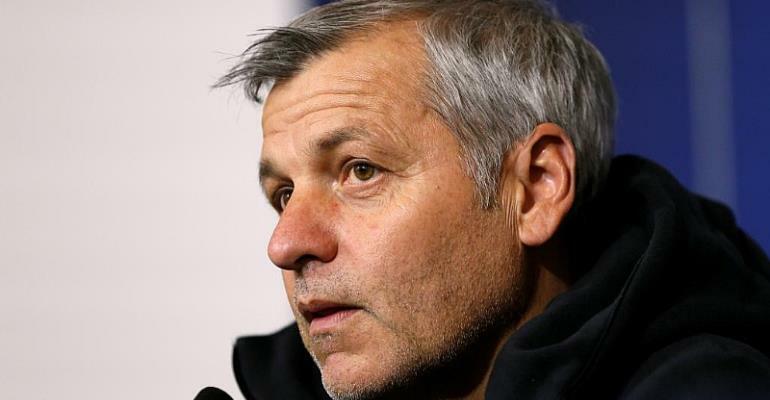 Lyon boss Bruno Génésio called on the home fans to give full support to the team during the semi-final of the Coupe de France on Tuesday night against Rennes. Génésio's future is on the line as Lyon chase their first piece of silverware since lifting the Coupe de France in 2012. Even though Génésio's men are third in Ligue 1 and well placed to qualify for next season's Uefa Champions League after a run to the last 16 in the latest campign, a section of supporters want the 52-year-old out. "Only Bruno Génésio's departure will allow a calmer air around the club," said the Bad Gones fans group in a communiqué in March. "If we don't have that calm then our club won't be able to return to the levels it should be at." Lyon owner Jean-Michel Aulas says he will announce his decision on Génésio's position in the coming days. The former Lyon midfielder took over from Hubert Fournier in December 2015 and has led the club to the knockout stages of the Champions League for the first time in seven years. Despite the uncertainty, Génésio urged unity. "We need to focus on the task in hand and the match. My future can be sorted out once we're in the final." The former Lyon midfielder added: "I've tried to stay calm over the last three and a half years despite some often difficult times. But that's the way to get through tough moments. It's not always easy though. The players are focused and they're working hard." Rennes go into the clash at the Groupama Stadium hoping to expunge nearly 50 years of hurt. Their last trophy came in 1971 when they beat Lyon 1-0 at the Stade Olympique de Colombes to claim the Coupe de France. Rennes coach Julien Stéphan will be hoping that lightning can strike twice. The 38-year-old's first game in charge of Rennes came at Lyon in December 2018 following the dismissal of Sabri Lamouchi. Stéphan, installed as a caretaker, led the side to a 2-0 victory in the league and followed up the success with a win over Dijon by the same scoreline. The Rennes top brass handed him a contract until December 2020 and he has repaid their faith with a run to the last 16 of the Europa League as well as mid table respectability. "We've learned a lot together since December," said Stéphan. "There have been lots of matches that will have helped us prepare for this clash."